You are here: Home / Blogs / Make A Difference / Be careful not to over commit. Try to swallow while your mouth is too full. You will get choke when you can’t accommodate. Understand this and you can relate what it is mean not to over commit. It’s nice to make a commitment but you have to comply what it is. Commitment gives challenges that you must be prepared. 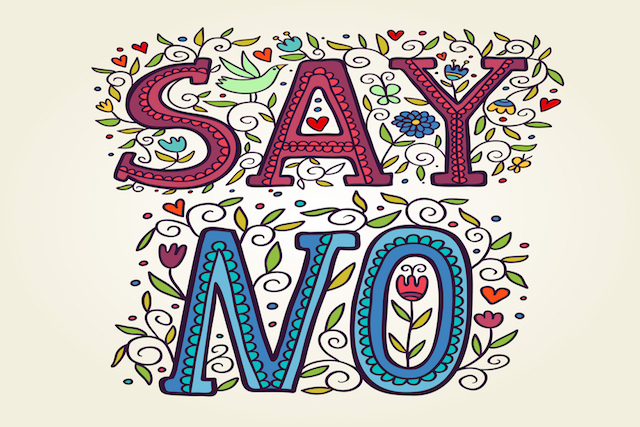 Learn when to say yes and when to say no. You have to know what you can do in due time so you can be confident enough give your commitment. Commitment is a responsibility that you must take care and attend. You must know what you’re doing more importantly if you are giving your commitment to others. You have to say it clear the level of your commitment. Like “I try, I do my best, and I do whatever it takes” most people succeed when they commit whatever it takes. People who try may quit soon enough when they get tired and people who do their best can fail when the best they exert is not good enough. A commitment is important ingredients of success. In relationship, marriage is a failure without a commitment. Sometime it is weird that the minister asks if you love each other for better or worst. It is a common sense that they want to get marriage and obviously they love each other. This is because the minister and witness want to ask your commitment. Commitment is the blood of your business, without it your business die. As long as you keep on doing the right things and committed to grow your business then success is right there. Remember the level of your commitment and make it clear. Don’t commit for a false hope, being honest to what you can give and do whatever it takes can make a difference. Think before you commit to avoid giving false hope. You can be successful by reaching your goals whatever it takes. https://www.dlysen.com/wordpress/wp-content/uploads/2015/10/logo-grace-and-dangal-2015-80x80.png 0 0 dlysen https://www.dlysen.com/wordpress/wp-content/uploads/2015/10/logo-grace-and-dangal-2015-80x80.png dlysen2012-11-30 18:32:022017-07-21 17:35:52Be careful not to over commit. Would you rather be right than happy? Why good is therein goodbye when it suppose to break your heart?